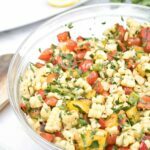 This Israeli Couscous Cucumber Salad is a refreshing summer salad that’s bright and light with fresh herbs and summer garden vegetables! I think one of the greatest gifts my father gave me was the love for fresh out of the garden vegetables. 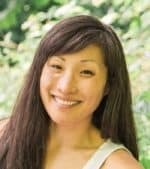 I grew up with huge gardens on our property in NH and so summers meant colanders full of fresh picked tomatoes, armfuls of fresh picked cucumbers, and baseball bat sized zucchinis. In my mind, nothing beats the crisp cool crunch of a home grown freshly picked cucumber. 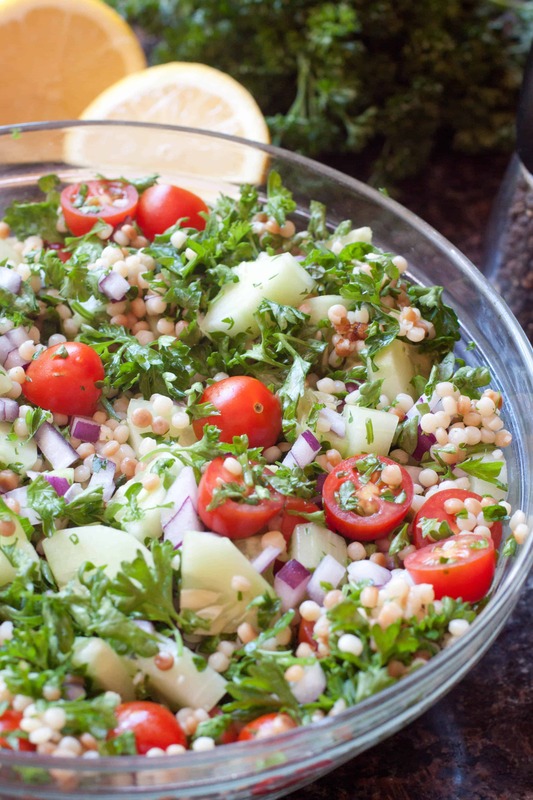 This Israeli Couscous Cucumber Salad is the perfect way to highlight those summer cucumbers! At first I was thinking about a tabbouleh with cucumbers but then I remembered I had this Israeli couscous in our pantry. 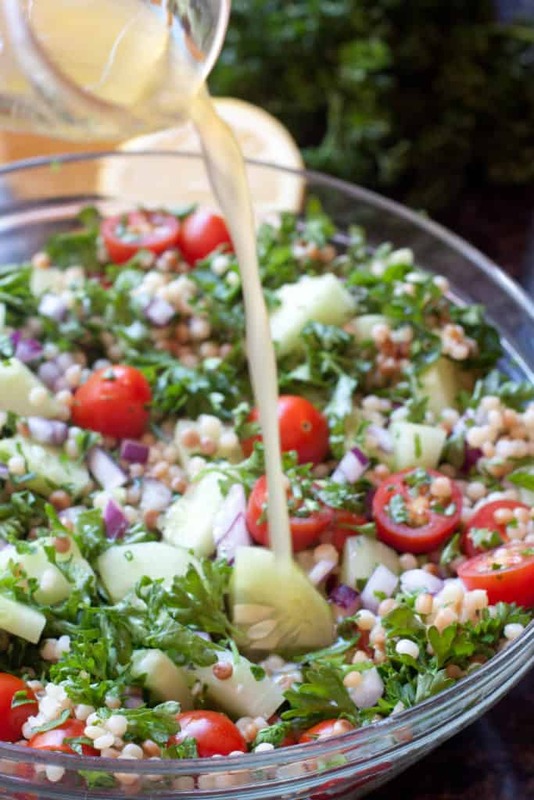 What is Israeli couscous? Little balls of perfect pasta, that’s what! 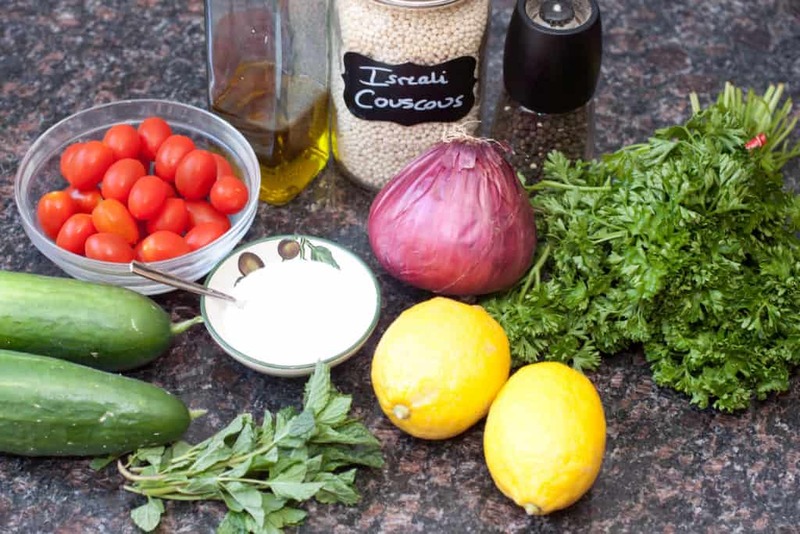 Also known as Ptitim, or pearl couscous, Israeli couscous is different than your regular couscous but still high in fiber and a healthy alternative to pasta. While ‘regular’ couscous is dried, Israeli couscous is actually toasted. This gives it a nuttier flavor, which I prefer. Plus, it’s larger and therefore I think lends itself better to salads like this. But, just like regular couscous, by itself Israeli couscous is pretty bland. 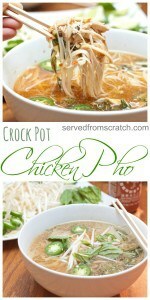 Which is why it is a perfect match for all of these fresh herbs and vegetables. 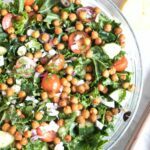 So for this salad, once everything is mixed in a large bowl (all of that fresh mint and parsley smalls so amazing) then it’s just a matter of adding a gorgeous bright lemon vinaigrette to tie all that freshaliousness together. Easy, peasy. Give it a good toss and you’re ready to serve. 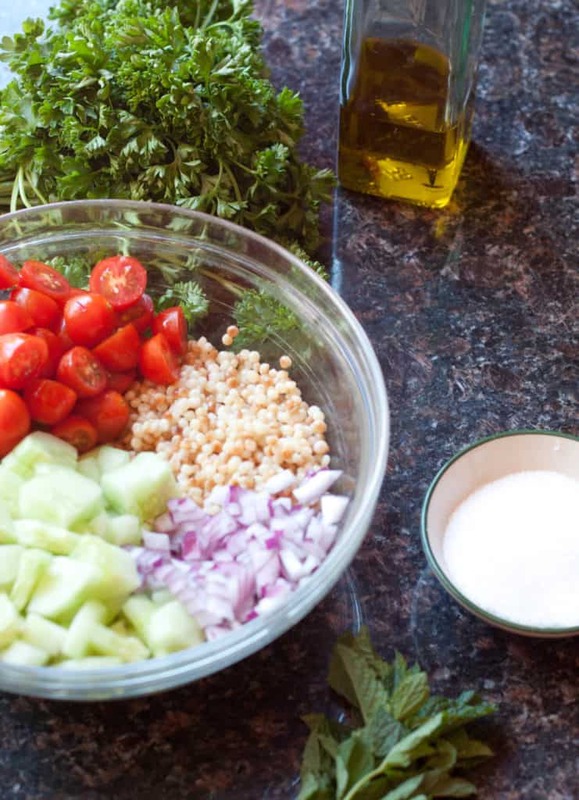 Israeli Couscous Cucumber Salad ready in under 30 minutes. 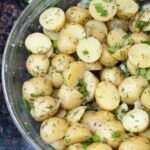 This is the perfect summer side dish that’s light and fresh but was still hearty thanks to the couscous. 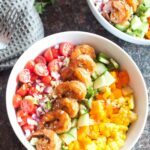 We paired it with some simple grilled shrimp, but I can also see it in our future with some Cornell Chicken, Mediterranean Grilled Chicken, or even Cilantro Lime Grilled Chicken. Enjoy! And don’t forget to follow me on Facebook, Instagram, and Pinterest and share with me when you make any of my recipes! I love to hear all about them! 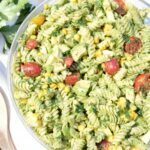 Stay tuned for more of our summer veggie recipes! 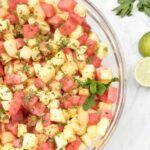 A refreshing summer salad that's bright and light with fresh herbs and summer garden vegetables! Heat tablespoon of olive oil in a saucepan. Add the couscous until it begins to brown and smell toasty - approximately 4 minutes. Add two cups of water and bring to a boil. Reduce heat and simmer until couscous is tender. Drain if necessary add to a large bowl to cool. 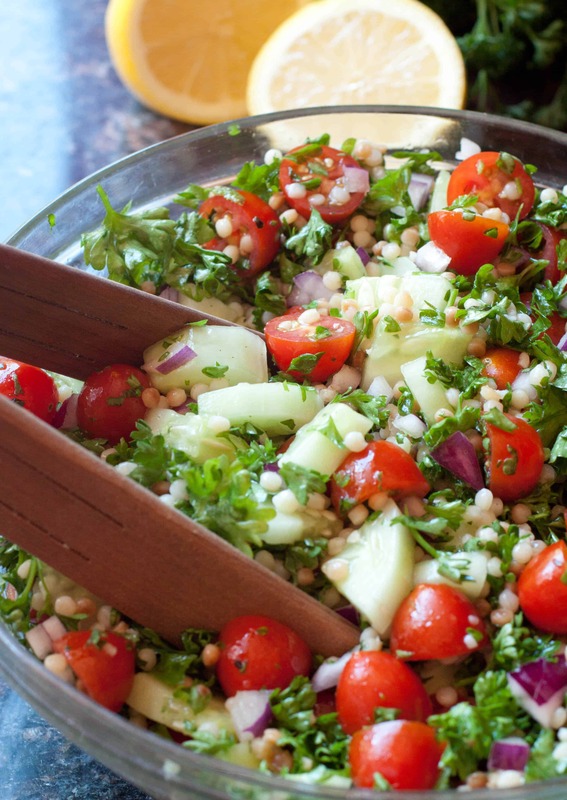 In that large bowl, add the cucumber, onion, tomatoes, parsley, and mint Mix well. Add salt and pepper and mix well. In a separate small bowl or measuring dish, add lemon juice and olive oil and whisk. Drizzle on salad and mix well. Hello, I do think your site may be having browser compatibility issues.